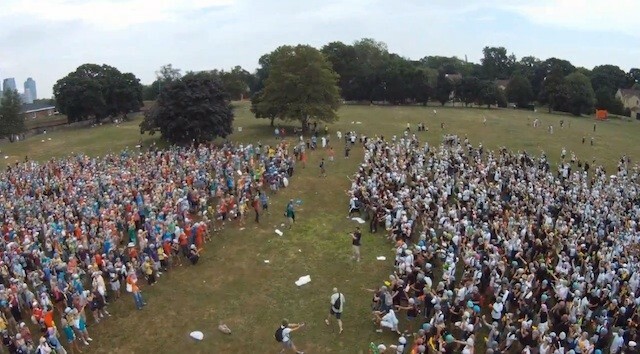 Over 4,000 people participated in an epic water gun battle as part of our ninth annual Mp3 Experiment event. Participants downloaded an MP3 file and pressed play simultaneously on Governors Island in New York City. The MP3 file contained a series of ridiculous Olympic-themed instructions from narrator "Steve The Omnipotent Voice from Above" that culminated in a massive water gun fight.